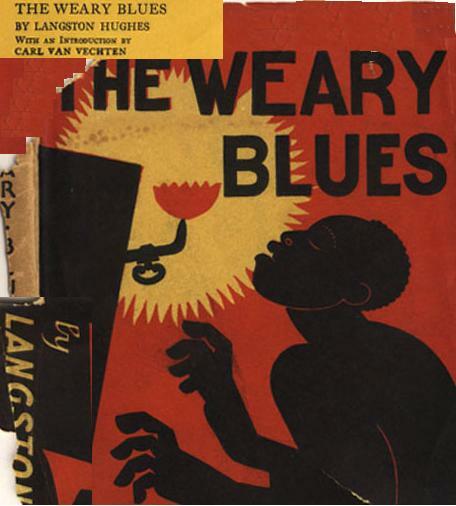 Of the poets that we cover in my courses, students have consistently enjoyed the humor in poems by Langston Hughes (1902 - 1967), Amiri Baraka (b. 1934), and Kevin Young (b. 1970). Despite many differences of time, place, circumstance, and writing styles among the three writers, we recognize overlaps when it comes to tones of playfulness that appear in several of their works. Taken together, Hughes, Baraka, and Young display a deep regard for the blues, producing poems that celebrate the people and sensibilities of the art-form. Transmuting the conventions and convictions of the blues into their poems perhaps means adapting and absorbing the humor and playing that characterizes the music. Like blues musicians, but unlike most contemporary poets, Hughes frequently uses rhyme, which students regularly find entertaining. turns out the one on trial was me. The blues ethos provides Hughes and Young with the materials to produce memorable and funny hard-luck guys as well as tough, bad women. For Hughes, it's a figure like Madam Alberta K. Johnson, and for Young, is a figure like Delilah Redbone, from his book Black Maria, who informs listeners that "I make men / get religion when / I strut by— / Lordy, they say, /My my." For Baraka, a blue ethos means offering biting and humorous questions, like: "If Elvis Presley is the King, who is James Brown---God?!?" The playfulness that we find in poems by Hughes, Baraka, and Young is rooted, among other things, to the sensibilities of the blues or a blues ethos.